A Gripping Story! I Couldn't Put it Down! Our Brown Leather Gauntlets are perfect for piloting your personal mode of conveyance be it on horseback, on velocipede, or with steam-powered jet pack. Stylish in dark brown and also quite practical, these above-the-wrist gloves fit right over the sleeves of your jacket for maximum coverage. Imported, well made from genuine leather that's sturdy yet supple. Unlined, with durable brown finish and doubled cuffs, these gloves are ready to stand up to the demands of your next adventure. Imported. Available in sizes S-XL. So I got the gloves in the mail just a few weeks back in time for Halloween. have more than a few times and so far they held up and none of the stitching is come loose they are comfortable and when I ordered them they weren't too tight. And they seem to be breaking in well but we shall see in a few months. Awesome Gauntlets, they fit "like a glove" one might say. They look good, they feel good, over all they are a good product. NICE !! I bought brown and black, Beautifully made, they fit just right !! On a roll with another 5 star review..... I've told my friends about this website, the customer service and quality are the same, if not better, than any place I've ordered from. 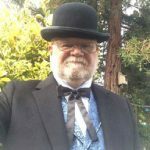 This is my go to shop to anything Western or Victorian. These gauntlets/gloves are perfect! I measured just as they showed on the measuring chart and rounded up and the gloves are a tad big, but still fit..... like a glove! Sorry!!! I had to say it.... The quality of the gauntlets are great, they're very soft yet they command power when worn! I'll be able to use them for a Western Costume but will also be able to use them with my Jedi (Star Wars) costume because the color works so well w/ brown colors in my costume! 2 uses for the price of one pair of gauntlets! I am very happy with the gauntlets. They were just what I needed to complete my Jay Garrick Flash costume. Good quality and a great fit. Thank you. Bought men's medium and large set of gloves. We wanted to match our gloves and the men's accessories had the best selection. The medium was for me (female) and the large was for my husband. 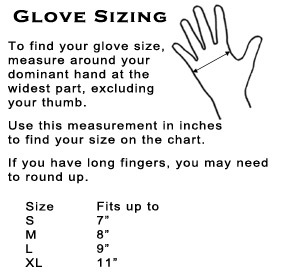 The gloves run a bit large so I am returning the large size in exchange for the small size. The medium sized gauntlets fit my husband's hand perfectly. Otherwise, the gauntlets are great. The leather is of good quality and very soft. Just the look to complete our costumes. Bought these for a steampunk video game character costume, and they're a good length up the wrist/forearm and fit on the hands. Took the costume to the next level. I really liked the look of these gloves online, but when I got them I was completely blown away. They are very supple leather and are really well made. My hand measurement was between sizes so I ordered the larger size. I wet them down and let them dry while wearing then and they literally "fit like a glove." As usual the gloves came in quick, and look just like the photos. They fit wonderfully, not too loose and not too tight in the fingers. Excellent workmanship, stitching was super good. The gloves feel nice and soft inside, and smooth on the out. The color is nice and consistent, no blemishes in the leather nor coloring. Top notch gloves. My daughter loved then for her capt.America costume. Being that this is an online store I would have never thought that this is an online store the quality would be so perfect but when I received my gauntlets they fit perfectly I've never found such amazing service or merchandise I plan on continuing purchasing from this site until my costume is complete and then keep collecting. Very good value... just right for driving the old 4 and a half Bentley around Brooklands. A great looking cap!! Just w hat I was looking for! Thank-you so much. I have purchased a few items now, the prices are right. The quality of the fabric and tailoring of the shirts and pants are perfect.